Good news for Kevin Spacey lovers, baseball fans, and Pokémaniacs: cards are the way of the future. If you’re one of the teeming millions using the dating app Tinder (Android, iOS), then you’re already intimately familiar with the card-swiping system. Interaction with user profiles is as simple as a swipe right for yes, left for no. Would-be suitors fly off the screen akin to flipping through a stack of Polaroids. 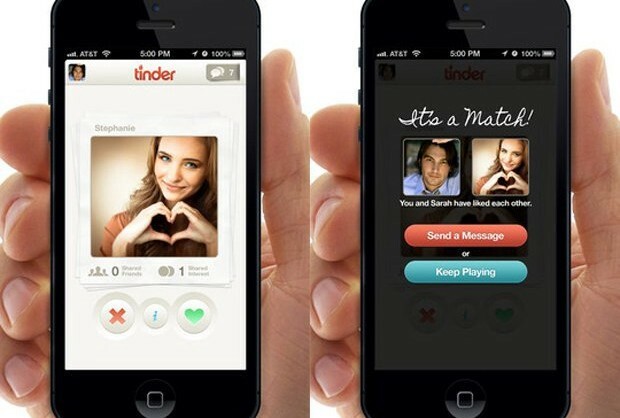 According to Tinder co-founder and CEO Sean Rad, inspiration for Tinder’s format did in fact come from piles of photos and playing cards. The card-based UI updates the classic way in which we’ve always interacted with physical cards. When you think about it, cards are nothing more than bite-size presentations of concrete information. They’re the natural evolution of the newsfeed, which is useful for reading stories but not for making decisions. The problem with newsfeeds is one of information overload. When scrolling through an endless list of options, it’s impossible to reach the end. Since there’s no way to review all the possibilities, it robs the user of a sense of finality. Instead of infinite content rendered useless by its very vastness, cards connect with users via offering only the best possible content, one piece at a time. It’s the ideal UI for making a decision about now. Tinder is far from the only app to make use of a card-swiping interface. Jelly (Android, iOS) uses cards to ask and answer quick queries via your Twitter/Facebook networks. Swell uses cards to personalize streaming audio feeds. Weotta’s card stack is full of activities based on your friend circles. Google Now also uses cards to display information based on what it knows about users’ contexts and profiles. Looking at data one piece at a time is more efficient when you consider people you might want to date, restaurants, streaming music, or local events you might want to check out. Services like Netflix (Android, iOS) and iTunes persist in organizing their apps as though they were brick-and-mortar stores. It’s confusing, and there’s far too much crammed into a miniature screen. When you want to watch a movie, you’re likely in the mood for something specific. 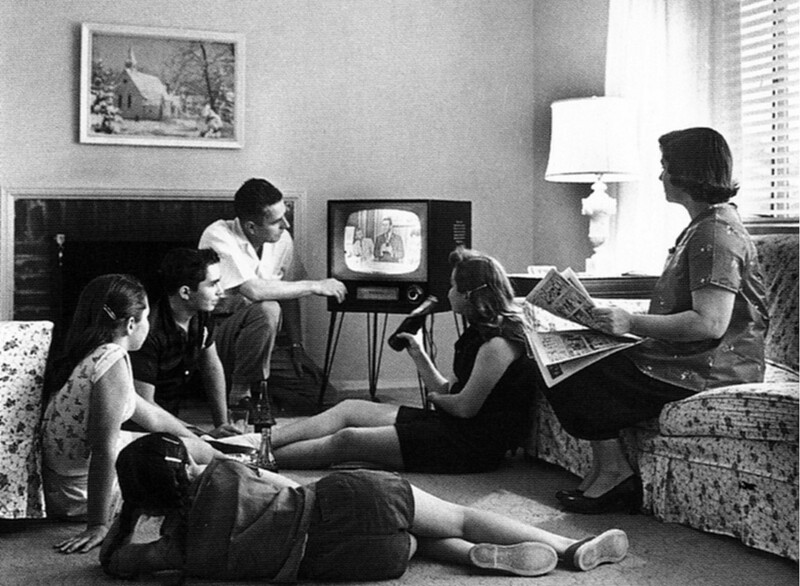 You might be with other people with their own tastes and movie-watching history. You don’t need to see the entire available selection; you need to see the options that match your current context. Considering them one at a time would let you either eliminate them from the pool of possibilities or file them into a maybe list. Cognitively, you can only evaluate one option at a time. Seeing all the options laid out in front of you at once is just noisy and distracting, since you’ll have to consider each one in turn anyway. Making swipe-happy snap judgements allows you to make better choices, faster. See Malcolm Gladwell’s Blink: The Power of Thinking Without Thinking for much more on the adaptive unconscious. You can do it one handed. It’s all in the thumb. That last point is more important than you think. It’s all in the thumb, says mobile expert Luke Wroblewski. Mobile devices are frequently used on-the-go, which drastically increases the probability that you’ll attempt to navigate apps using just one hand, with the key digit being the mighty thumb. Instead of browsing endless lists for the hidden perfect piece of data — be it the right music for the moment, what to do tonight, or your next potential hookup — card-swiping turns decision making into a highly engaging Choose-Your-Own-Adventure game. 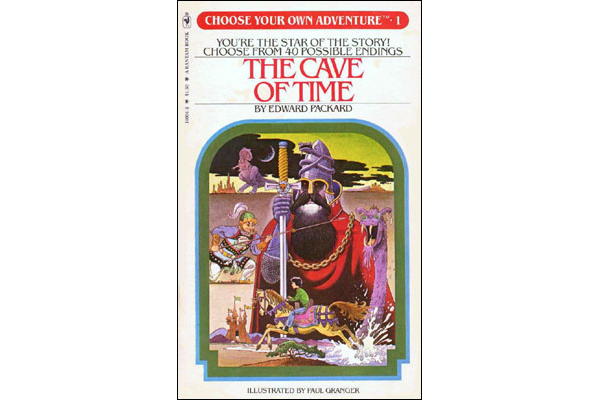 The CYOA analogy is an apt one: just like the paper-based gamebooks, every single interaction with card-swiping apps can affect the outcome. We can call it small data. Imagine if every time you made a yes or no decision on Tinder, the app learned what kind of profiles you tended to like, and it showed you profiles based on this information in the future. “With swipes on Tinder, the act of navigating through content is merged with inputting an action on that content,” says Rad. That means that every time a user browses profiles, it generates personal behavioral data. At the time of publication of this article, Tinder gets over 800 million swipes per day. That’s more than a few trips through The Cave of Time. It isn’t about big data this time, although Tinder and its ilk could certainly draw up interesting speculations based on trends across their userbases. Rather, it’s about using profiles of individual users to cater to their specific preferences based on the ways they use the app. In Swell’s case, it’s filtering news radio stations. Tinder’s dating profiles provide a spicier example. Maybe it’s as simple as a general preference towards, say, redheads, in which case you’d start seeing a higher percentage of them in the cards. It could easily be more complex: perhaps your matches are similar to another user’s, in which case the app could conclude that you’d probably be interested in the rest of the other person’s matches as well. It could even be that you tend to prefer a certain kind of profile at noon, and a wholly different one at night (preppy team captain in the sunshine, badass motopunk at midnight?). This is easy to track, since Tinder reports that many of its users check the app five or six times daily. 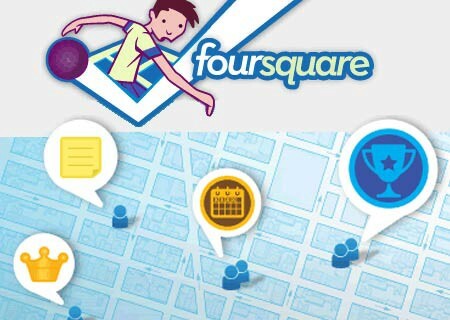 Perhaps no app better embodies the question “What should I do right now?” than Foursquare (Android, iOS). Users consult Foursquare with queries like “romantic,” “Thai,” or “mojitos.” The app crawls data that’s been entered by its scores of users to match nearby places to your search term, which is a highly useful function in and of itself. But how do you discover that tiny boutique around the corner if you don’t know it’s there? How do you and your diverse group of friends find the nearby Irish bar with an enormous beer selection when you’re not sure what to look up in the first place? That your device can predict what you want to do better than you can might seem like futuristic fantasy, but Foursquare already does this. The app harnesses this data to make recommendations to you based on your current context, including location, time of day, and what your friends are up to. The logical next step is a card-swiping interface. Search results show up in miniature, displaying little more than a name and rating. Crucial information like location, opening hours, and user comments is hidden from view. Once you’ve made your evaluation, you have to navigate back to the long list of search results to continue browsing. There is no way to bookmark possibilities during your search. 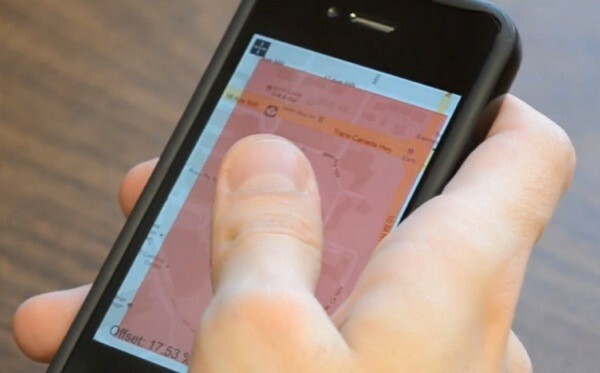 Now envision a card-swiping system for Foursquare. Actually, you don’t have to: Steven Lehrburger did an incredible job complete with mock-up sketches in his blog. Say you’re looking for a Japanese place. Imagine the app shows you one place at a time via card format, including all the information you need to make a decision. If it appeals you swipe right to sort it into the maybe pile; if not, you discard it from the list. You might have only entered the search term “Japanese,” but with every decision you make, the app learns more about what you are looking for right now. It combines that data with what it knows about your user profile from previous searches or check-ins, and thus gives you more and more relevant cards as you go through the possibilities. Card-swiping is not quite zero-UI, as predicted in The Future of Listening to Music — but it is streamlined, organized, high engagement interaction that generates meaningful data that is useful, immediately. A card-swiping interface not only means an improved user experience, but also that apps can collect massive amounts of small data. Your results are about to become more tailored to you over time. Maybe then you’ll finally find that ideal redhead on Tinder.